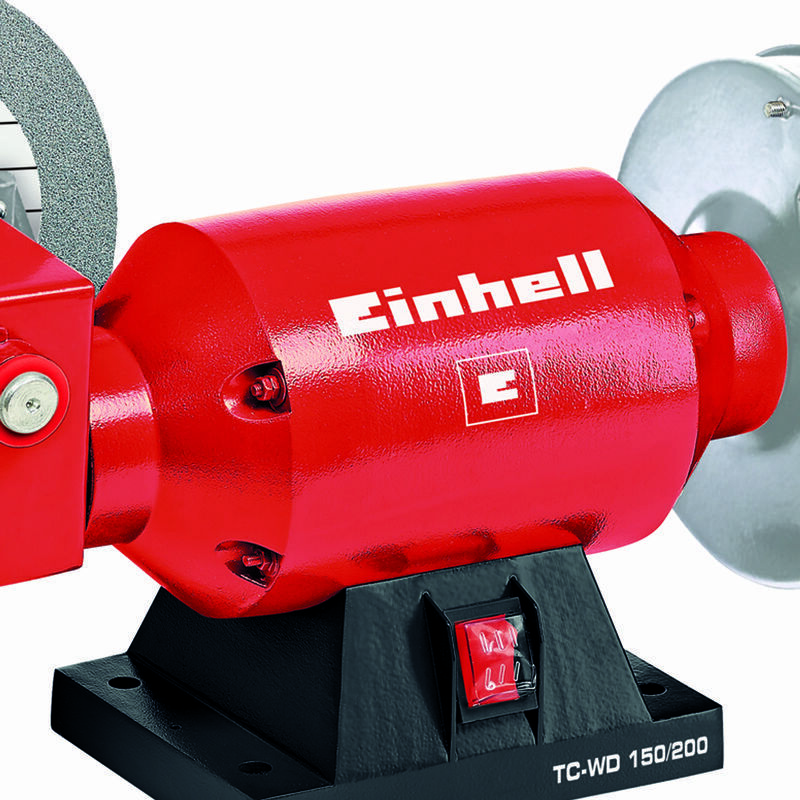 The TC-WD 150/200 wet-dry grinder is an indispensable helper for all wet and dry grinding jobs, e.g. 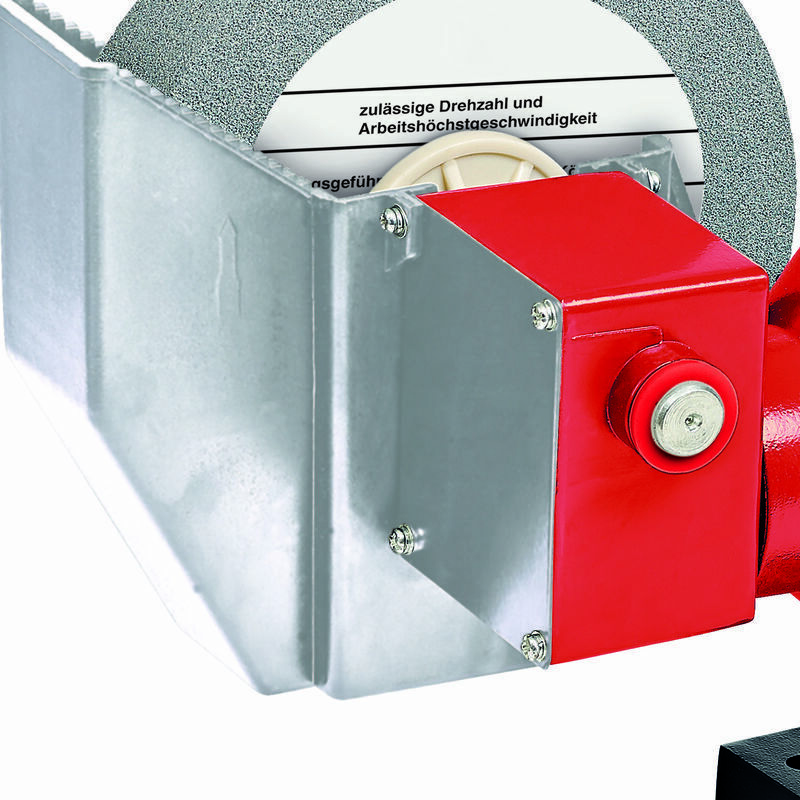 sharpening of knives and blades. 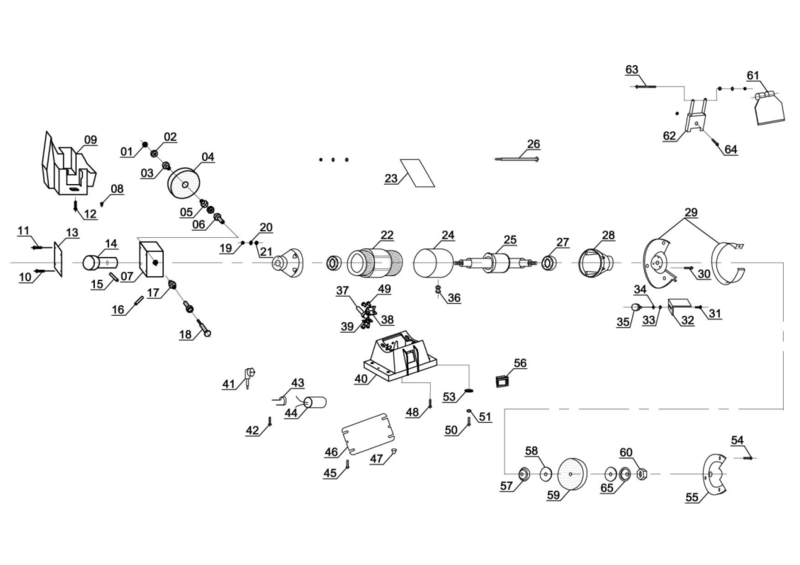 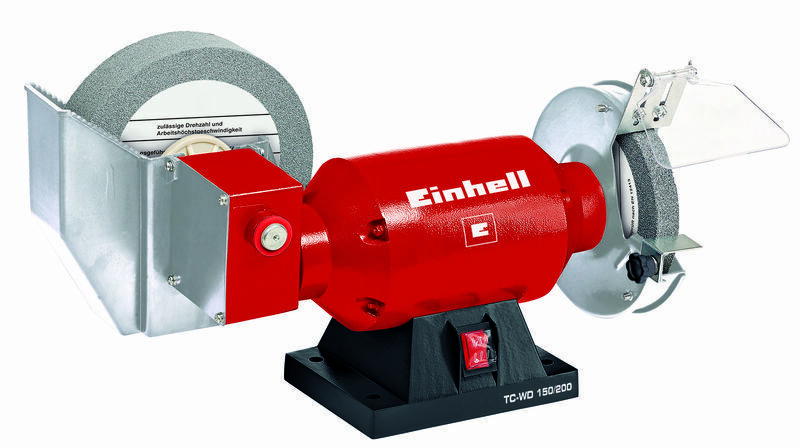 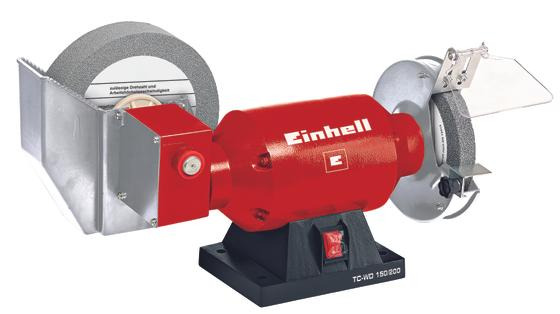 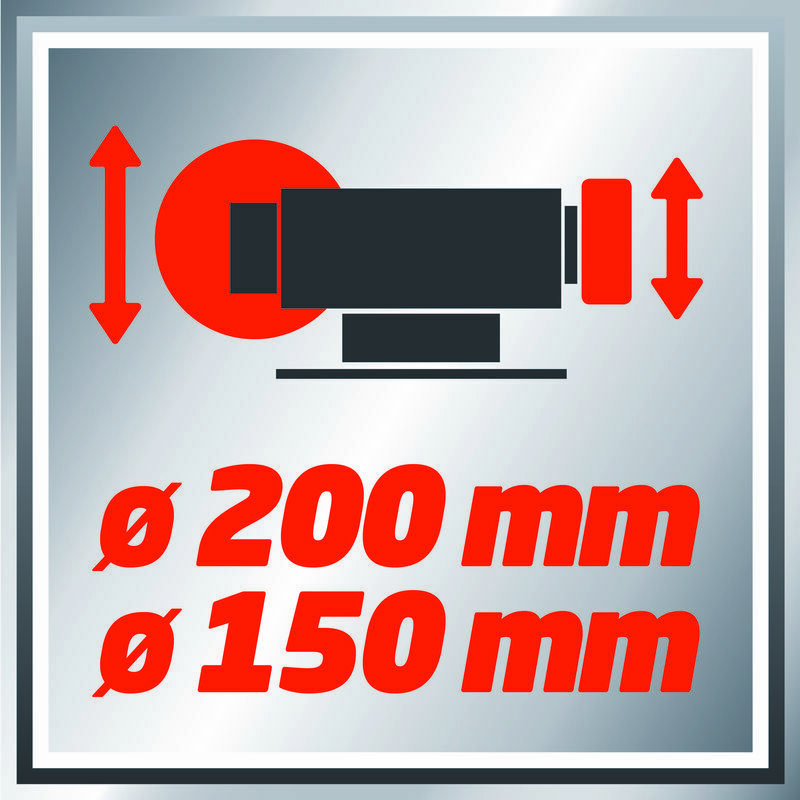 This grinder is equipped with one coarse grinding wheel and one slow-turning, fine grained wet grinding wheel, each mounted on a zero-play ball-bearing shaft. 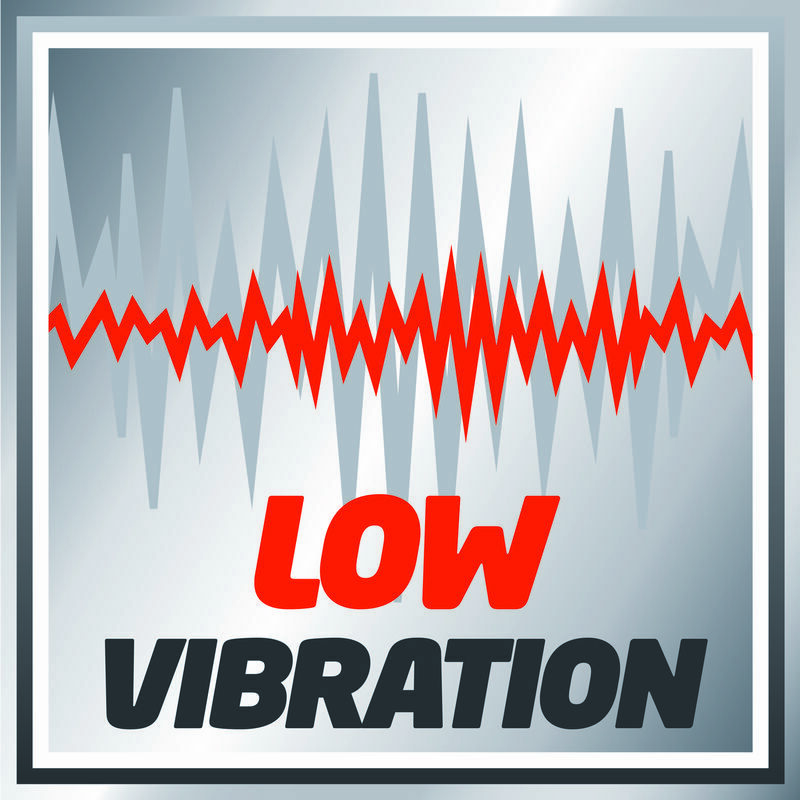 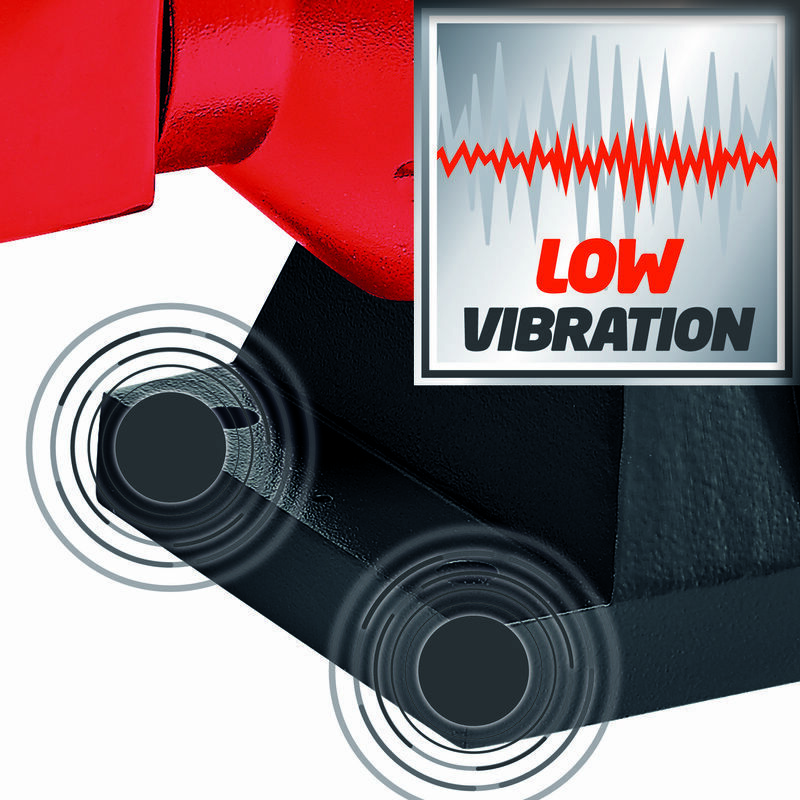 The TC-WD 150/200 is made of metal in a robust, compact, heavy-duty design for a long service life and stands securely on four non-slip, vibration-absorbing feet. 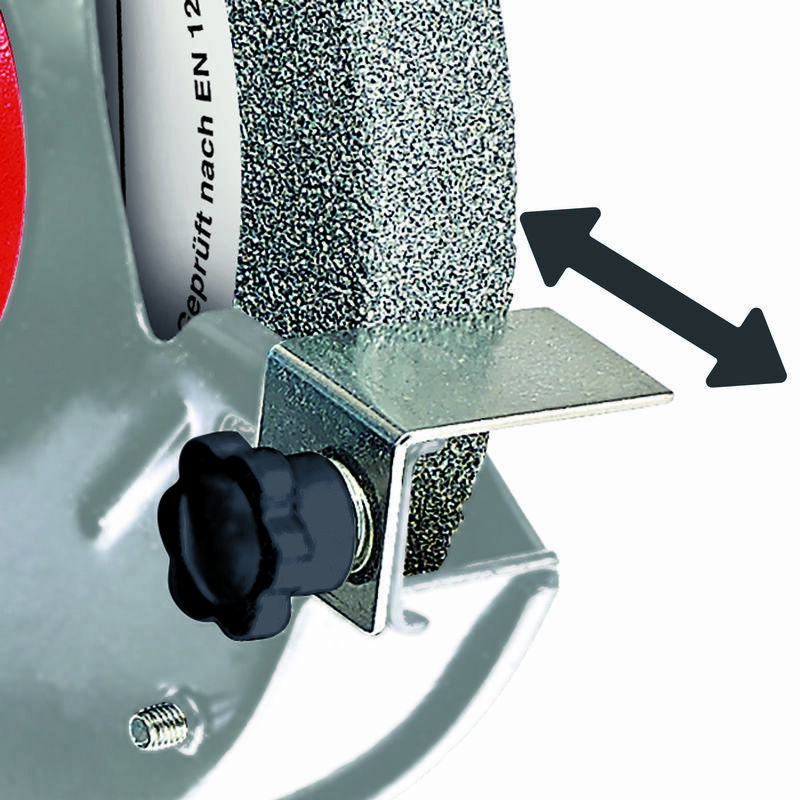 Thanks to the adjustable work support, the tool is easily adjusted to the thickness of the coarse grinding wheel. 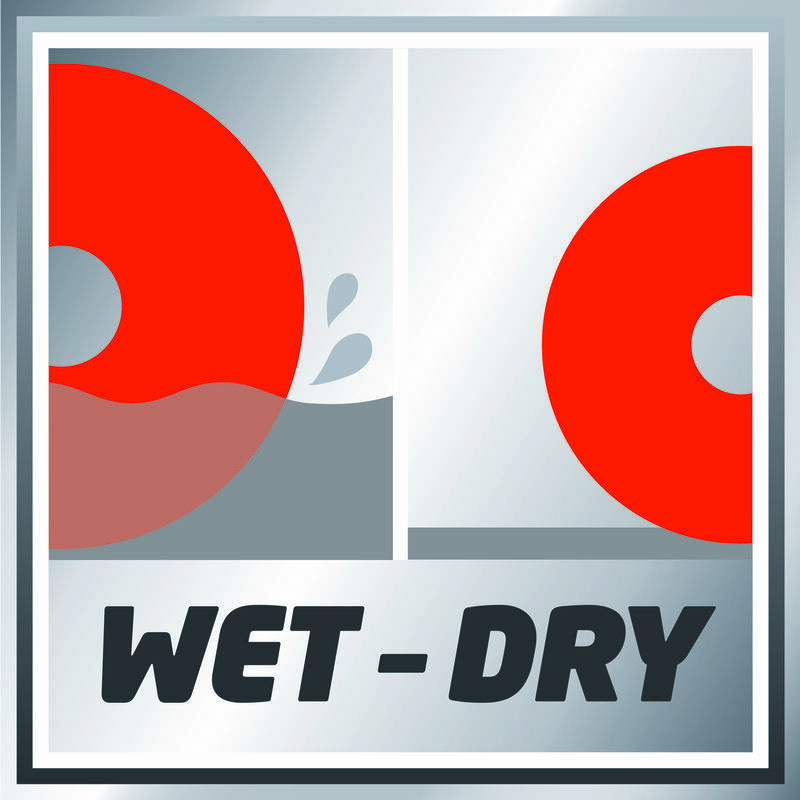 For wet grinding there is a corrosion-resistant water tank. 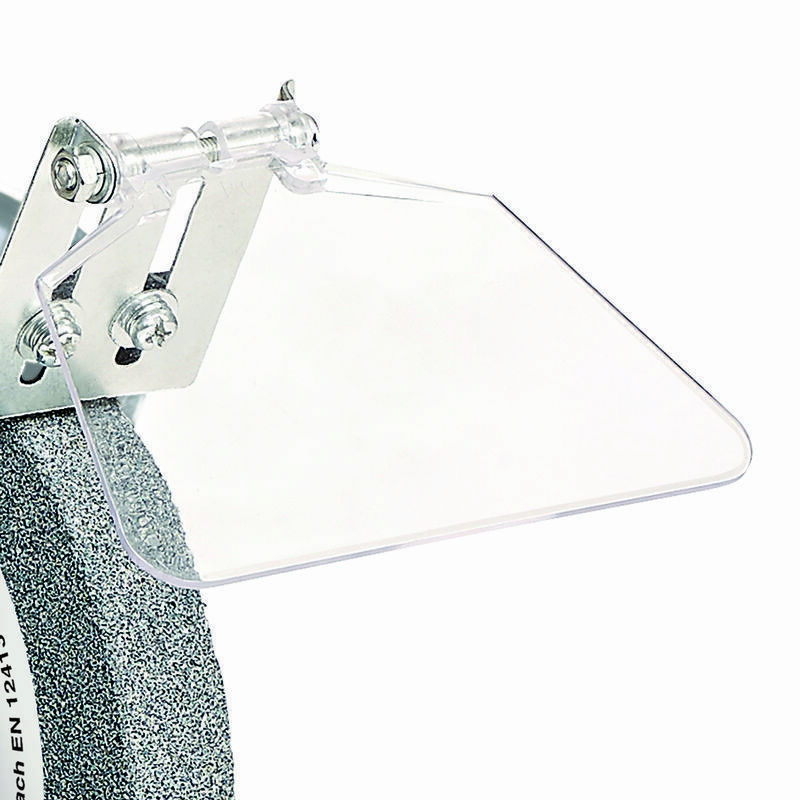 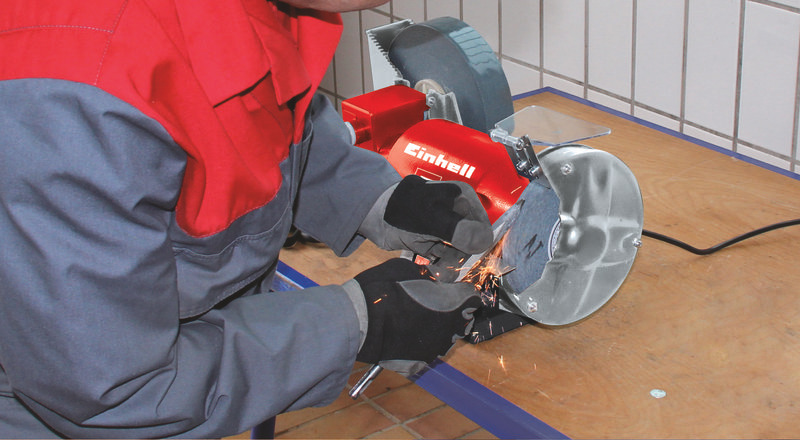 For the required safety during grinding work there is an adjustable spark guard with large safety window and a guard hood which is closed on the side.